If you crave for some peace and quiet and want to offer yourself an escape from all the work, stress and noise, Brtonigla might just be that perfect spot you are looking for. Here you’ll find everything you need for a calming and relaxing vacation – a combination of beautiful landscape and unparalleled nature, unique gastronomy, warm hospitality and much, much, more. 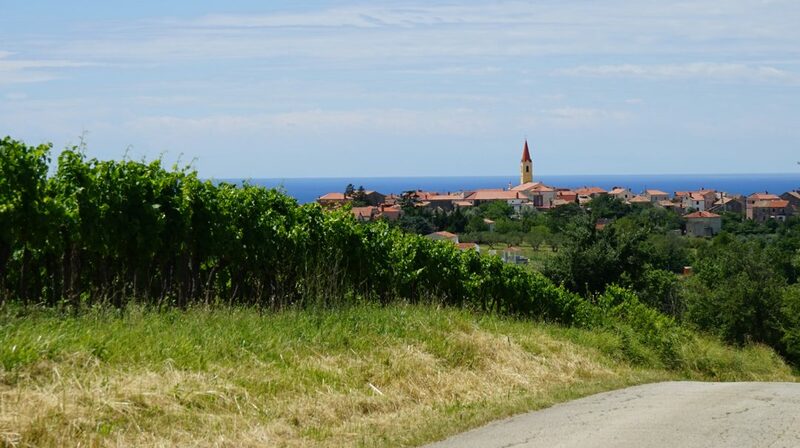 Location – Brtonigla is located in the northwestern part of the peninsula, just 20-minute drive from Slovenia, and in proximity to all the urban hotspots in Istria. It takes you only 15 minutes of driving to reach the sea and 10 minutes to get to the famous waterpark Istralandia. Unique gastronomy – Brtonigla is the home of the San Rocco restaurant, a proud member of the JRE family, the best Istrian restaurant according to the official guide Istria Gourmet and the best Croatian restaurant according to the Croatian tourist board. Taste some of the creative dishes inspired by the traditional Istrian cuisine and prepared by the renowned chefs. Top-quality wines – Istria is world-famous winemaking region with Malvazija and Teran as autochthonous grape varieties which offer somewhat different experience of enjoying wine sips. Here in Brtonigla you’ll find some of the best and often awarded local wine brands. Breathtaking sights – The town is set on a hilltop which enables you to enjoy panoramic sights of picturesque landscape with old olive groves, vineyards and other beauties of nature. Feel like home – If you want to interact with the locals, find more about and even experience the way of life of Istrians, you’ll hardly find a better destination. Brtonigla is simply the place where every tourist feels like home.